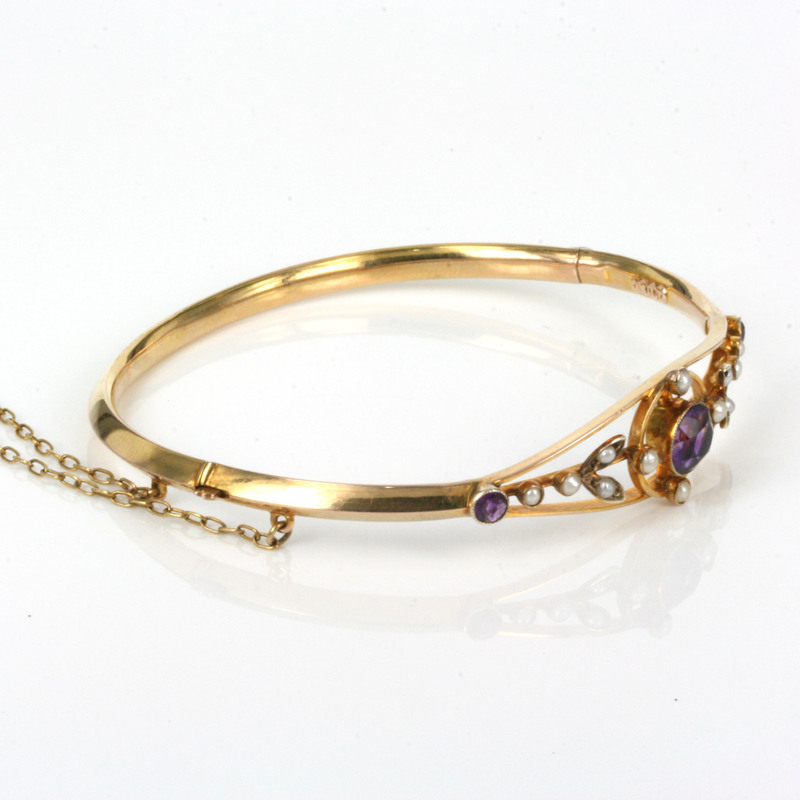 Antique rose gold amethyst and pearl bangle. Product code: ES3411 Categories: Sold Items, Sold Jewellery. 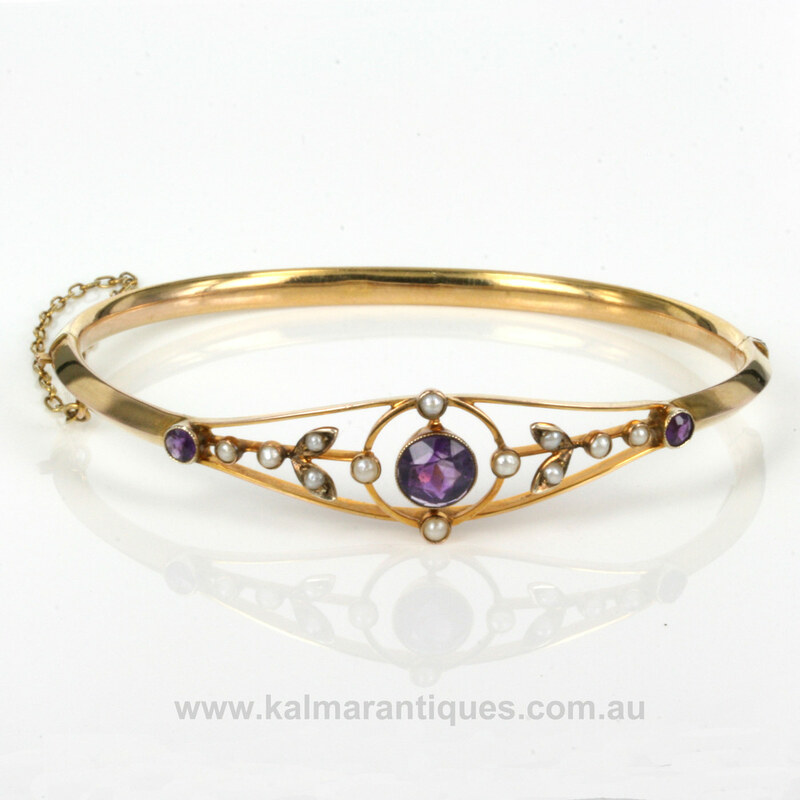 Here is a delightful antique bangle set with amethysts and pearls in the most delightful design. 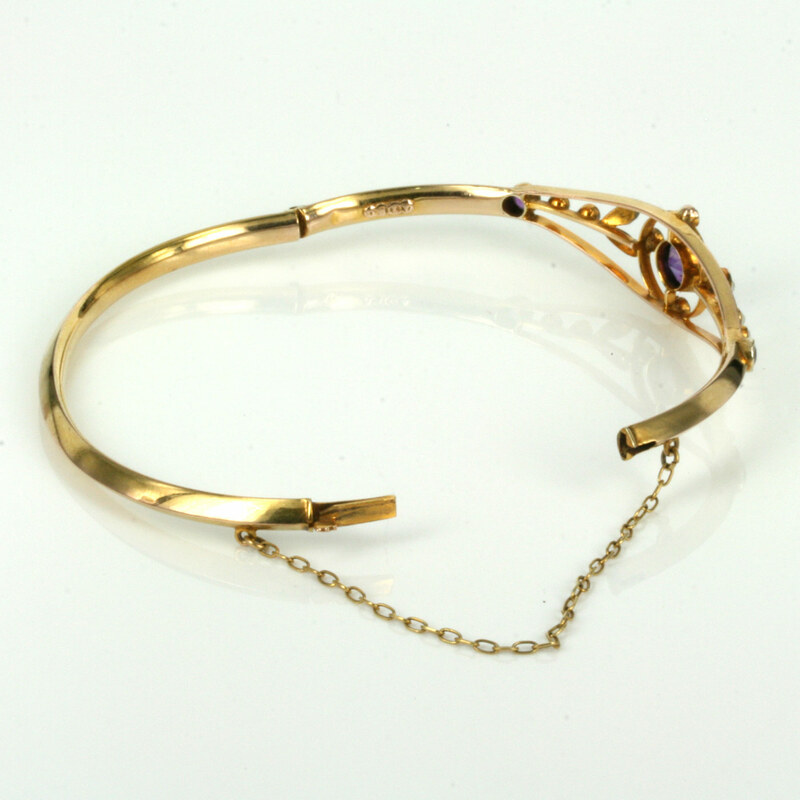 Made in the Edwardian era of the early 1900’s, this antique bangle was made in 9ct rose gold. Rose gold has such a beautiful warm colour to it that has become so popular again in recent years and looks marvelous on the skin. Set with 3 amethysts, the setting also has the milgrain finish which is the very charming fine and elegant crimping along the edge of the setting which really adds that extra character to an already very beautiful bangle. Then to add to the charm, the bangle is set with 12 seed pearls which really add such a sweet style to this bangle. With the lovely open work design it is so characteristic of jewellery that was being made in the early 20th century and will always be adored. From one end amethyst to the other, it measures 44.3mm across by 13.4mm wide at the centre amethyst and being a hinged bangle makes it sit nice and close to the wrist making it very easy to wear all the time day or night. With a safety chain attached for added security, this is a wonderful example of an antique bangle from the Edwardian era that will always be loved and treasured.